The Savvy Heart is a creative design studio based in Seattle, and co-founded by designer, Terra Link. We specialize in interiors and home accessories with an emphasis on timeless, contemporary design. Simply put, we’re obsessed with helping people bring their dream home to life. We fully believe that dreams shouldn’t just live on your pinterest board, and beautifully styled homes aren’t just for the magazines and tv shows! 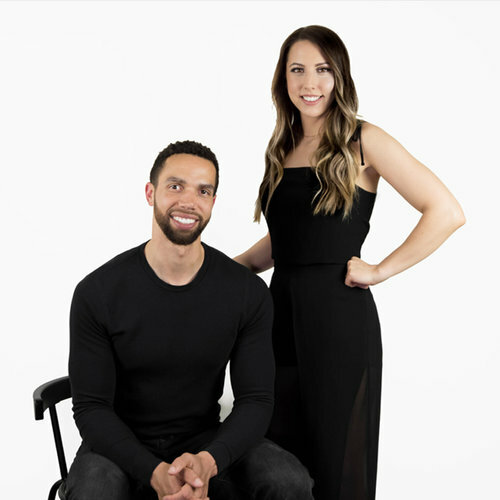 We're Terra and Jacob, the co-founders of The Savvy Heart. We're friends, business partners, and engaged to be married. The Savvy Heart initially began in 2014 as an outlet for Terra's creativity and Jacob's passion for business. We started designing and selling a small collection of jewelry across Northern California, and from there, The Savvy Heart slowly expanded into multiple product lines. After relocating to Seattle, we decided to simplify our collection. With Terra's background in interior design, we focused in on designing interior goods that blended our style as a couple. Today, The Savvy Heart is a creative design studio, brand, blog, and YouTube channel. Our products can be found at various stores across the country, and we've been fortunate enough to have been featured in multiple publications like GQ, My Domaine, and The Seattle Times. Ready to see what we're all about? Start by exploring our ever-evolving collection of interior goods and gifts. Over the past few years, we’ve been fortunate enough to work with companies and individuals on a variety of custom projects. Expect to find inspiration, more about The Savvy Heart, design talk, how-to's, videos and more.